All in all if you’re looking for the most entertaining game play in the business Rook’s Revenge is the slot machine for you with unbeatable graphics and quality game play. 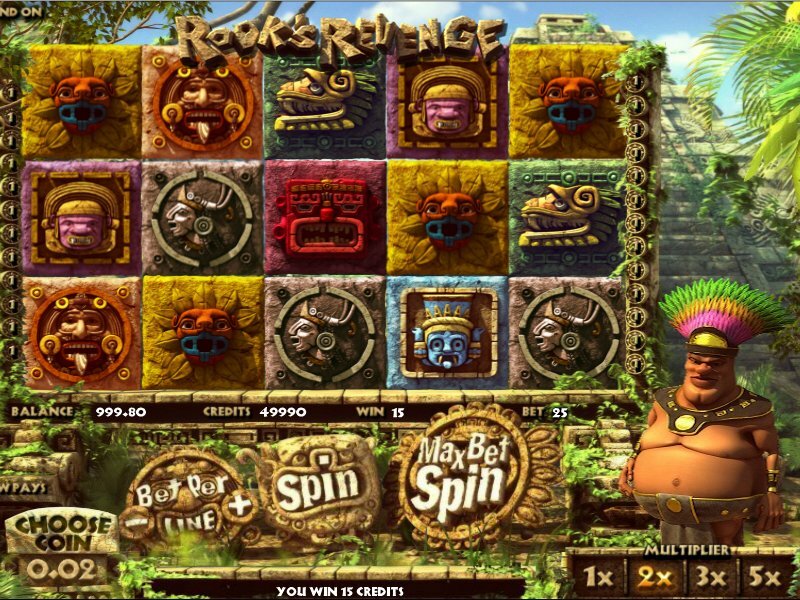 Get ready to experience the ancient Aztecs as no other casino has ever shown you before! 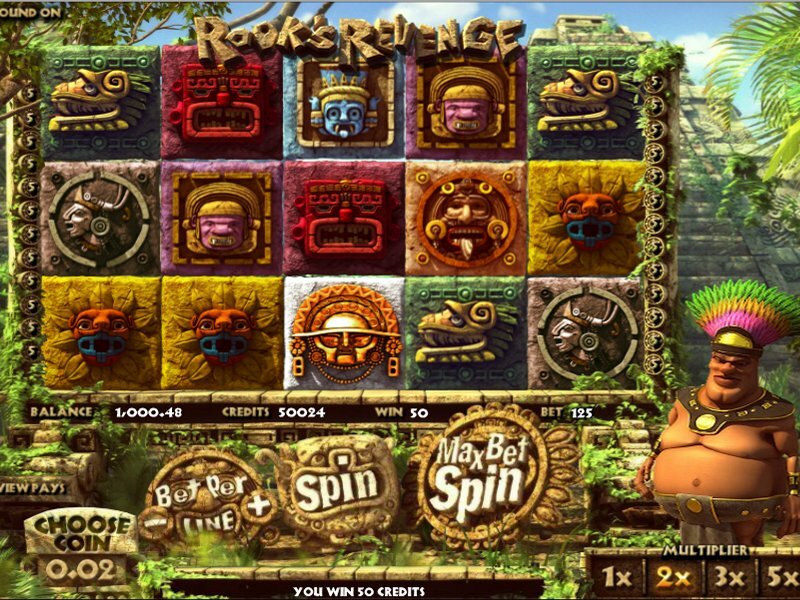 One of the latest additions to Real Time Gaming’s impressive list of high tech 3D online slot machines, Rooks Revenge Slot plunges you deep into the rich and ancient culture of Central America with an entertainingly modern spin. By far the best part of Rook’s Revenge is its superb graphics and sound. With extreme attention to detail the overweight, bumbling, Aztec chieftain Rook seems to be alive while dancing in his loincloth and fancy headdress. The background art is what looks like a real photograph of two Aztec pyramids and scenic mountains. The reels are all square blocks of stone. When clicking spin, the stones drop out of their frame revealing the background and more stone symbols drop into place with a clinking sound effect. For entertainment value, Rook’s Revenge is by far one of the best online slot machines out there. Rook is simple minded and playful. While it’s easy to get stuck watching his antics, he grunts a hearty, “Huh?” and turns to look at the reels after you click spin, turning your attention back to your potential wins. For entertainment value, Rook’s Revenge is by far one of the best online slot machines out there. Rooks Revenge slot machine offers a great variety of betting options from choosing your coin amount, to choosing how many credits you wish to put on every line. A truly ambitious player can bet as much as $125 at a time by setting the coin at $1 and clicking max bet spin. Special symbols include a golden mask that triggers free spins though this is rare during game play. Though this feature is rare, a wild symbol substitutes for any symbol including the golden mask. Though the mask works similar to a traditional scatter symbol, it only appears on lines 1,2, and 3. 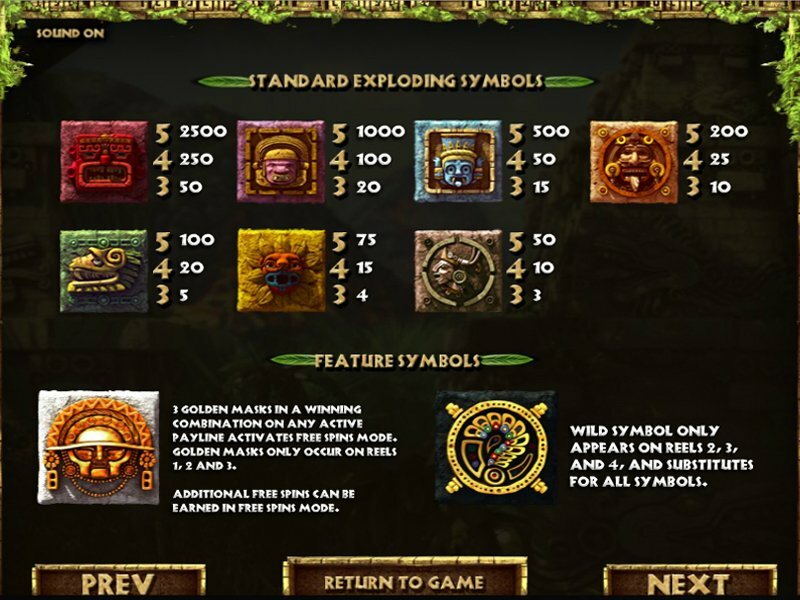 The most special feature of the game is the multiplier. After spinning, any winning symbols explode in a ball of dust and new symbols drop down to replace them giving you the chance to win more than once on each spin. Any winnings beyond the first of a spin are multiplied. During free spins, the multiplier is increased even further giving you the opportunity to make some decent dollars. Is Bodog Gaming Casino Software Top Dog?